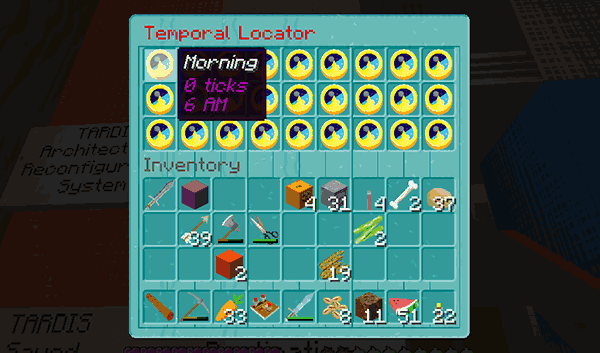 The Temporal Locator lets players set their time relative to the server time. The Temporal Locator is automatically added to new TARDISes. You can destroy and place it at a new location by using the /tardis update temporal command. 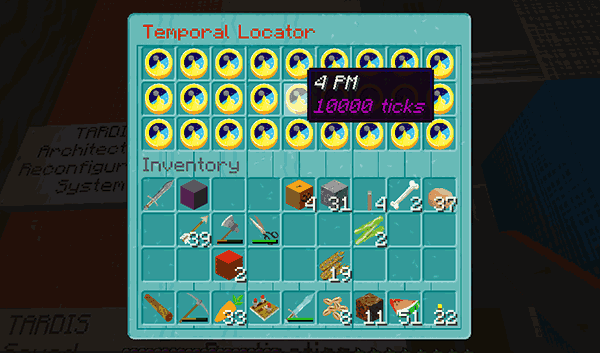 To use the Temporal Locator, right-click it to open the inventory based GUI. You will see a screen like the one below.